Caregivers who are tending a person with dementia face an array of special challenges. 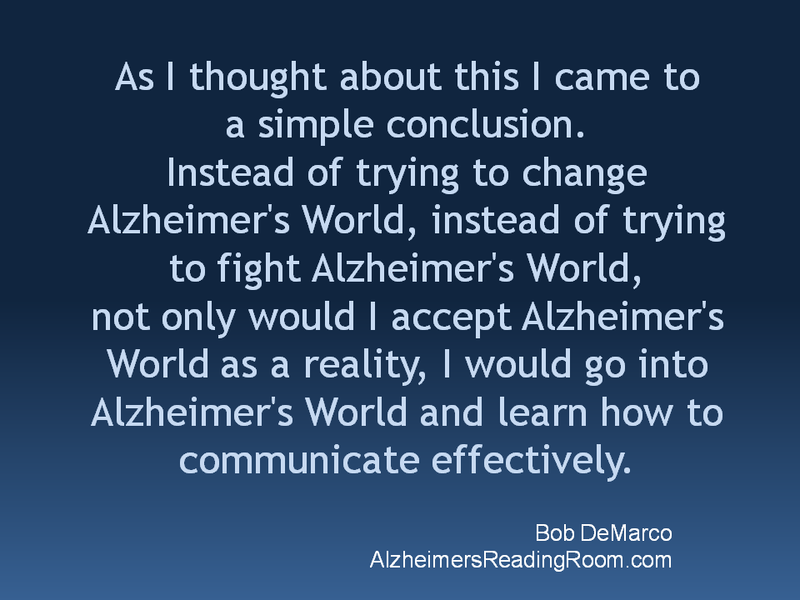 One of them is simply this: Communication can be severely impacted by dementia. A person with dementia sometimes comes across as being stubborn or unreasonable; often the reason for this is because he or she is not able to accurately perceive the information you are giving, cannot process it properly or cannot find the words to respond in the manner that he or she wishes. This can cause frustration both for the caregiver and the patient. If a caregiver communicates in one way and finds consistently that that way leads to confusion or irritation, it’s time to change the script. 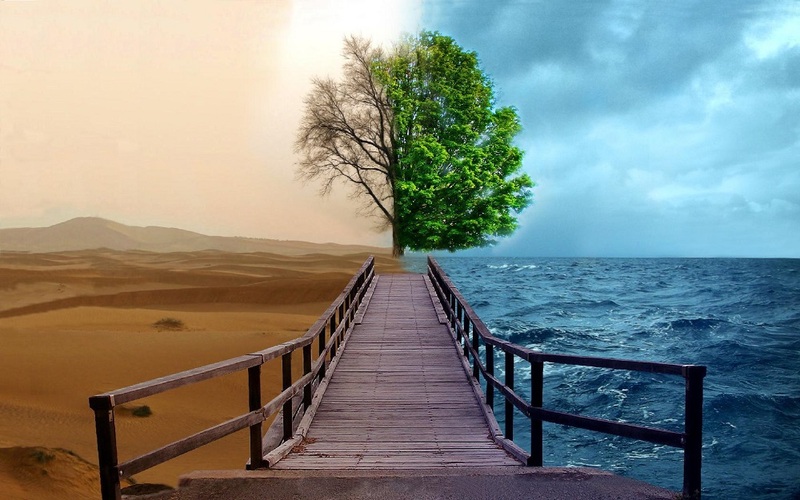 Remember: You’re operating in different worlds. For many people with dementia, the world in which they live is not always the same as the one in which their caregivers live. Time works differently for a person with dementia, and many things which the caregiver knows are long in the past may be part of the present for a loved one with dementia. So if Grandfather is convinced that Nixon is president, should he be corrected? A lot depends on how firmly he holds this belief; the caregiver must decide whether a simple “Pops, Nixon is no longer in office” is warranted. If experience has taught the caregiver that this will lead to an argument and to Grandfather becoming agitated and upset, it may be best to let Grandfather continue to hold onto this belief. Picking battles in terms of correcting perceptions of reality is important; let the minor misperceptions slide and try to engage the point Grandfather is trying to make, rather than correcting the misinformation. Help show the way in conversation. Changes, especially those that involve introducing something that is recently unfamiliar, can cause confusion. For example, it’s wonderful that Aunt May’s old friend Sue from across town is coming for a visit, but that visit may cause anxiety if Aunt May is not prepared. She may feel put “on the spot” if Sue just suddenly appears: “Do I know this person?” Aunt May thinks. “Should I know them? Why don’t I?” This can lead her to be unresponsive or withdrawn. Efforts to bring her out may cause her to snap at the caregiver. When Mom’s nephew Fred drops by, lead him into the living room and say, “Mom, your nephew Fred is here. Look, he has brought you some delicious fudge.” This tells Mom the name of the visitor; his relationship; and the name of the food that he has brought. Thus Mom doesn’t have to struggle to figure out any of this on her own. If caregivers can’t “get” what a person with dementia is trying to tell them, they should do their best to be patient. Rather than get irritated, they can try saying, “I’m sorry, Dad, I just didn’t catch that. Can you tell me again?” If the caregiver is patient and calm, it often will help the loved one to feel more relaxed and open to communicating. These are just a few strategies to employ to improve communication. HomeHero’s professional staff is well versed in working with people with dementia and can offer many further ideas on how to make communications easier and more fruitful for both the caregiver and the patient.